No matter how safe of a driver you may be, you could end up in an accident that leaves your car in severe damage. A totaled car is considered to be a complete loss after an accident and can be a stressful event, even if you weren’t physically injured in the accident. You may be wondering how much it’s going to cost to replace your totaled car, who’s responsible for the car loan you have on it, how much your insurance rates are going to go up, and how to compare quotes between insurance companies if and when those rates increase. These are all important things to consider when your car is totaled and you’ll need a clear idea of what to do next. Whether the accident was your fault or someone else’s, here’s what you need to know about replacing a totaled car and what to expect when you file a claim with your auto insurance company. Whose insurance company pays for repairs or a totaled car? If you live in a “no-fault” state, your insurance company will pay for certain damages when you’re involved in a car accident. If you live in a “fault” state, your insurance company will only pay for damages if someone else was at fault. However, if you have collision coverage in a “fault” state, your insurance will pay for vehicle damage regardless of who was at fault. Keep in mind, not everyone has the benefit of collision coverage. It’s a supplemental car insurance plan and many people don’t add this type of coverage to their policy because it’s expensive. However, collision coverage does provide a generous benefit if you end up getting in a serious car accident. State laws vary on what you can claim as damage to your vehicle in a car accident, so you may need to do some research or consult an accident lawyer to determine whose insurance company will get involved. The amount of damages you can claim will also vary by insurance provider. Your insurance company will need to evaluate the level of damage and determine how much it will cost to repair your vehicle. When you call your insurance company to let them know you’ve been in a serious car accident, the company will need to determine the extent of damage and investigate the claim. This investigation may include reviewing photos and police reports, talking to witnesses, and gathering other information that supports your claim. You may not think there’s enough damage to declare the car a total loss, but insurance companies will assess the vehicle closely to calculate the total cost of repairs and, in most cases, will pay for damages up to the policy limit. They will ask for photos of the vehicle to determine the vehicle’s condition after the accident and may even send an insurance adjuster out to take a closer look at your vehicle. If the insurance company determines the total cost of repairs is at least 75% of the actual cash value of the vehicle, it would cost the company a significant amount of money to repair the car to working condition. At this point, they would declare the car to be a complete loss, or totaled. The amount of damage is relative to how much the car is worth. This is why you might have a car that costs $5,000 to repair but isn’t considered a total loss because it has a market value of $15,000. If the car is only worth $6,000, the insurance company will see the $5,000 of damage and declare the car a loss. When your car is declared totaled and is considered to be a total loss, you no longer have a car and may soon be shopping for a replacement. Depending on which state you live in, the insurance company will usually take possession of the wrecked vehicle and get a “salvage title” on the car. This means you no longer own the car and the insurance company will send a certificate of ownership, the license plates, and appropriate fees to the Department of Motor Vehicle (DMV) to make the salvage status of your vehicle official. You will receive a total loss car insurance settlement check for a certain amount, minus the deductible and the cost of disposing of the wrecked vehicle. The settlement amount may include estimated sales tax, registration, and title costs of a replacement car. You can now use that money to buy a replacement vehicle and will need to buy an auto insurance policy when you make the purchase. The insurance company can’t pay more than the fair market value of your vehicle, as of the day of your accident, in damages. If you have a loan on the vehicle but the fair market value is lower than your outstanding loan, the insurance company will only pay up to the fair market value. This means you will be responsible for the difference. Since the insurance company has declared the car to be a totaled car, or total loss, they are obligated to pay you only the fair market value of your car, minus the deductible and other costs. Here’s an example: You have a car loan for $18,000 but the fair market value of your car on the day of the crash was only $14,000. The insurance company will pay the $14,000 but you will still owe the $4,000 on your car loan, plus the car insurance deductible. Even though you don’t have the car anymore because the car is totaled, paying off the loan is now your financial responsibility. If you think the insurance company’s valuation is incorrect—that the car is worth more than they claim and is worth at least the total loan amount or more—you have the right to negotiate with the insurance company or file a lawsuit. If you’re trying to negotiate, you will need to provide documentation that supports your claim that the car is worth more than the final dollar amount they came up with. If you can prove that the car is worth more than its Blue Book value, either because you have spent a significant amount of money on upgrades that weren’t damaged in the accident or if it’s in better condition than the insurance company claims, they may reconsider their valuation. One way to make this process easier is by contacting a qualified and licensed appraiser. An appraiser can consider several factors when evaluating the vehicle and does not work with the insurance company. They can provide a real testimony and write a letter listing all the reasons why they believe the car is worth a certain amount. You can use this as evidence to support your argument that the insurance company’s valuation is inaccurate and needs to be adjusted. It can take several weeks and even a couple of months to get your settlement check from an auto insurance company. This can stall your car shopping process and have an impact on your lifestyle if you depend on your car to get around. Keep in mind, you may have the option to keep your damaged vehicle. If you didn’t have a loan on the car, you might decide to hold on to the vehicle and pay for repairs yourself. Only some states allow you to keep a car after it’s been declared a total loss, so you’ll need to check state laws to find out if that’s an option for you. If you are allowed to keep the car, you’ll need to let the insurance company know right away. Next, you’ll need to buy auto insurance coverage for the damaged vehicle. Even if you’re not driving the car right away, you still need to maintain active insurance coverage and have proof of insurance. Some insurance companies might not give you very attractive rates when you try to get insurance for a damaged vehicle and also have a serious accident on your record so it pays to shop around. Others may not provide coverage at all since the car is considered to be a salvaged vehicle. Compare quotes from at least three to four insurance companies in your area to lock in the best rates with an auto insurance quote comparison site, like Insurify. You’re the only one who can decide if the car will be worth repairing. Checking in with mechanics in your area for an estimate of work and considering all the costs involved with the repair—including towing the vehicle to the mechanic—will be part of your decision-making process. In many cases, it’s simply easier to buy a replacement vehicle with your settlement check and start over. That way, you’ll have a car that hasn’t been severely damaged and is also one that car insurance companies are happy to insure. You can still compare rates to find the best deal and the only thing that might have an impact on your final rate is the fact that you were involved in a serious accident. Gap insurance may not be something you paid much attention to when you purchased your vehicle, but it’s something that can help you out in a future accident situation. If you have gap insurance coverage, the insurance company will reimburse you for the difference between what your car is worth and what you still owe on the car loan. This type of insurance coverage does require paying a deductible but if the difference between the value of your car and the existing car loan is several thousand dollars, you could save a significant amount of money and stress from not having to worry about the loan payoff. So, when is the best time to get gap coverage and how does the gap insurance refund work? Ideally, it’s when you’re less than halfway through the term of your auto loan. You can talk to a car insurance agent to find out when the ideal time to get gap coverage will be and what type of policy will be your best option. As you start searching for a replacement vehicle, it’s a good idea to get car insurance quotes on the car you want before you sign the purchase agreement. You can get quotes from multiple auto insurance providers to get the best rate. Even though you’ll need to disclose your accident history, shopping around can help you find the most affordable car insurance coverage in your area. This time around, you might consider getting gap coverage—especially if you plan to get a loan on top of the cash payment you are making with your settlement check. You might also consider getting collision coverage in the event you’re involved in another series accident. Collision coverage can give you some peace of mind knowing that your car insurance company will step in and pay for most or all of the costs related to your accident, including a full replacement of your vehicle. As distressing as it can be to total your car, you can get back on your feet and even shop for a replacement vehicle shortly after your incident. Knowing what your rights are and how to negotiate with your auto insurance company will help you make the most of the situation. 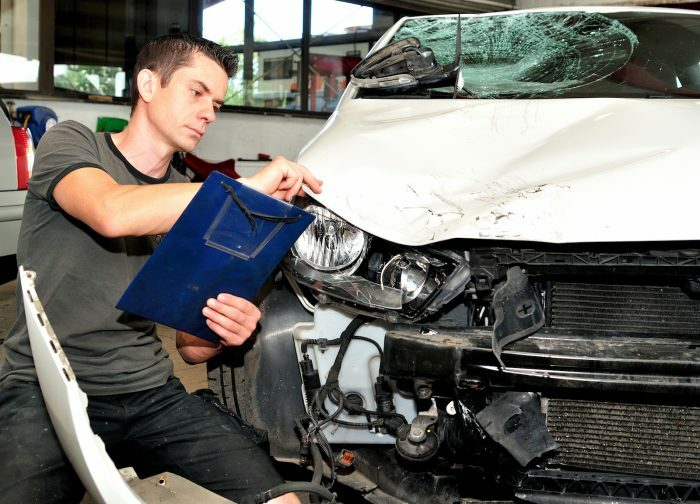 In the case of a serious car accident, where more than one party was involved and there were multiple cars that were damaged, it may help to get support from a car accident lawyer so they can guide you through the process of filing accurate police reports, gathering relevant information for insurance companies, and handling any negotiations or disputes that arise between you and your insurance company. Many attorneys offer free case evaluations and will make sure your rights are protected as you communicate with insurance companies and negotiate the settlement. For every step of the way, don’t forget that major savings and affordable auto insurance quotes are possible—even after a massive accident—when you use Insurify. Here’s to moving forward and getting back on the road!